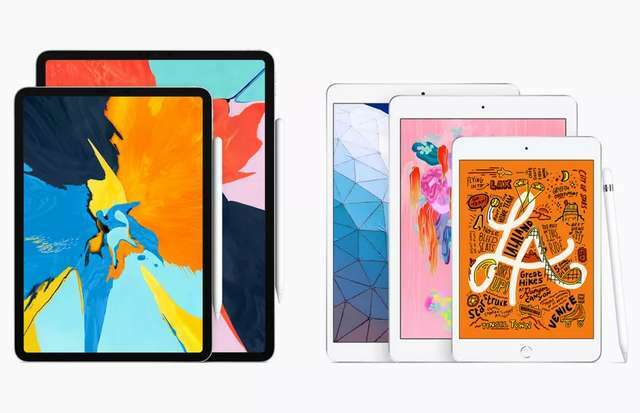 The Cupertino tech giant, Apple, have silently introduced two new device without any fanfare, the third generation 10.5-inch iPad Air and the fifth generation iPad Mini. Although they looked similar and sports nearly the same specs, the new iPads differs in screen and body dimension, which is their only difference. These comes with the new True Tone Liquid Retina display that was first used on the 2018 iPad Pro 11-inch and 12.9-inch, with support for DCI-P3 wide color gamut. The later features a 7.9-inch display with 2048x1536 pixel resolution and 326PPI pixel density, while the former has a 10.5-inch display with 2224x1668 pixel resolution and 264PPI pixel density. Apple's newest A12 Bionic 7nm chipset powered the tablet, coupled with up to 256GB of storage. These also inherited the 7MP face time camera from the last year iPad Pro. The 2019 iPad Air and iPad Mini, however, opted for the traditional Touch ID biometric security and not Face ID as their bottom bezels openly proclaimed. Both support Apple Pencil (first gen) for note taking, sketching, and drawing. The Apple iPad Air (2019) starts at US$499 for the WiFi model and US$629 for the Cellular model, while the iPad Mini (2019) starts at US$399 for the WiFi model and US$529 for the Cellular model. They are available for purchase starting today in the U.S, Canada, Europe, U.K, U.A.E, Japan, Hong Kong, Australia, and Luxembourg. The Apple Pencil (first gen) and the new Smart Keyboard will be available separately for US$99 and US$159, respectively.